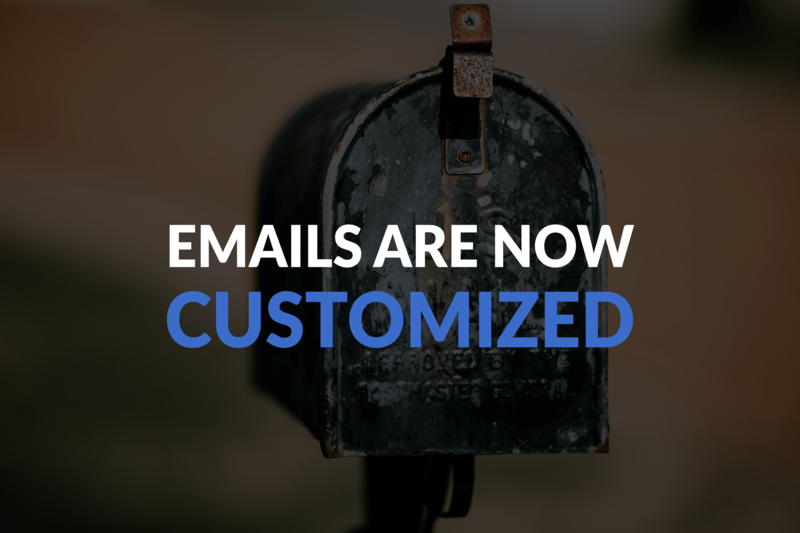 We are very happy to announce the release of our latest addition to 24sessions software: Email customization is here! 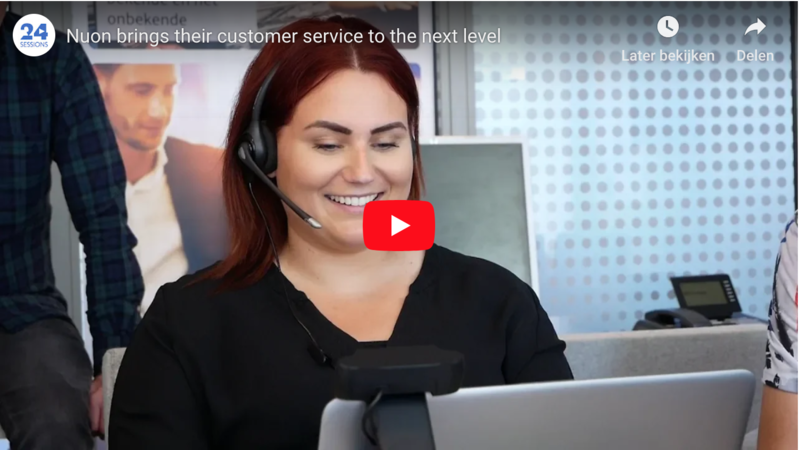 We understand that talking to your customers in your personal style and tone of voice - or even language - is important for a real professional meeting experience. That’s why we made it possible for you to customize email notifications. Your brand is your business’s most valuable asset and when talking to leads or customers you want to be consistent with your messaging. 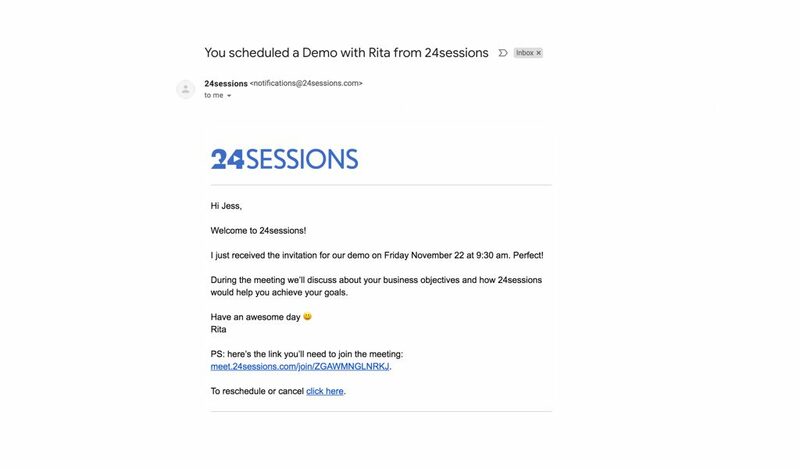 Our Product Team heard your request that you need to be able to customize the notifications your customers receive before and after your video meetings. 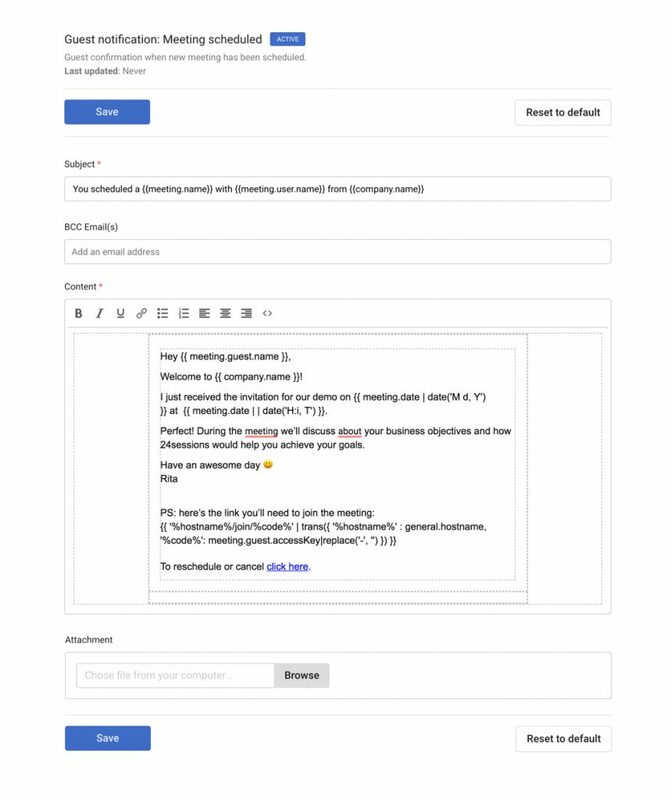 Pick what types of emails you want both parties - guest and user - to receive (invitations, reminders, reschedulings, cancellations, review requests, etc). Customize the subject title and copy of the emails by editing the font and adding alt text, links, CTA buttons, signature, you name it ? First step is to customize the information you need to qualify your clients by adding questions or open fields in your booking form i.e. company headcount, phone number, main goal, etc. Second step is to customize the email notifications. Let’s say you decide to customize your invitation email which is the email your guest will receive as soon as a meeting is scheduled. 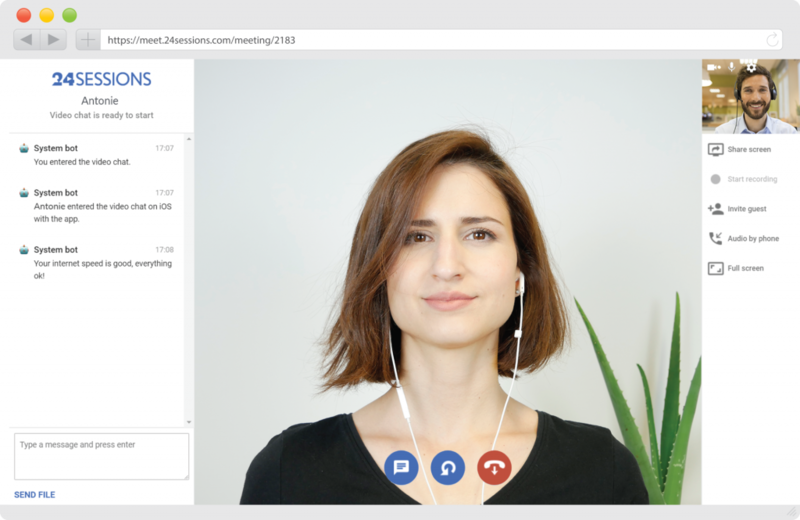 Taking full control of how your video meetings are set from the moment a meeting is scheduled to the post-meeting communication, helps you turn your meetings to established experiences. Check How to Prep for your Video Meeting like a Pro here. For more information on how to enable and use the addon click the link here. Want to discuss something? Hit us on intercom!